Jcee from Toys N More had recently completed his repaint of Sideswipe from the Revenge of the Fallen. He repainted in Red as to pay homage to the G1. Seeing Jcee's repaint Sideswipe, I was wondering what if sideswipe being repaint into other colors? So my devil workshop started and here are some possibilities should toy maker do the repaint to reel in and mile the collectors. I will skip Red since Jcee repainted in that color. Disclaimer: All the photos below are purely fictional and in no way indicating repaint of any kind by the toy makers. If an actual product does happen in the similar manner, God help us all. Do you think green look better on Sideswipe than Skid? Heroes in a half shell? If you grew sick of the movie Bumblebee yellow, can I interest you with a new range of Pikachu yellow? Pika Pika? How about Superman Blue? It's a pretty safe color to save the day. Unlike Superman, painting it blue does not mean it can fly. If you are one who do not take life seriously like the Joker, purple could be the color for you! Purple Rain? As they say Black is always in fashion. Homage to the 80 pop culture Knight Rider. I think Black suit me best. What about you? 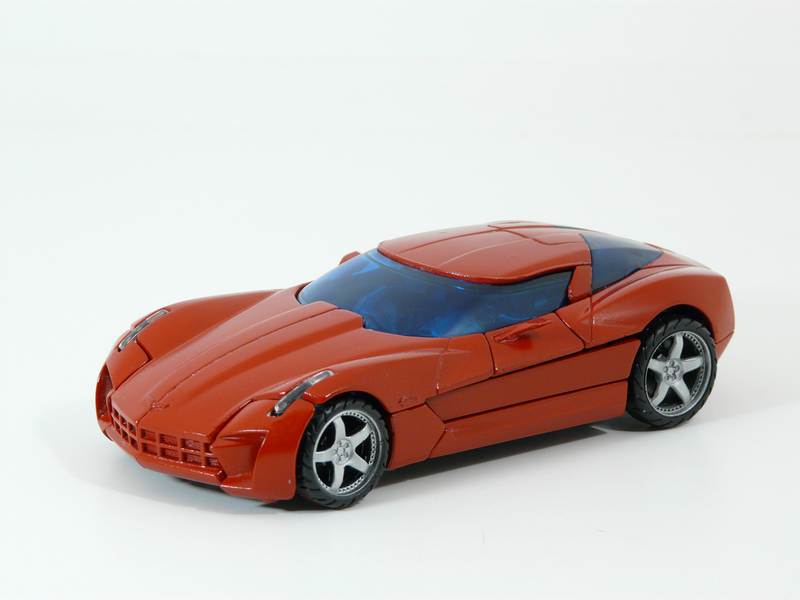 Read more about Jcee's Sideswipe Repaint here. LOL I guess that's the good thing about taking pictures on a white background huh? I really like the skids and joker colors though. Looks like what Hotwheels would make haha. There is actually a red repaint of Sideswipe already somewhere down the ROTF line. Black is always in fashion ya? It's like going to a car mart. Great posting! Willie & I have the same taste. Knight Rider is an awesome tv series. The black one looks cool, if KITT could have changed into a robot that would be quite awesome. Agree Ant Sized Man. I think the stringRay car design suitable to be the new knight rider.